With the launch of Classic Car Gurus I felt that a great way to showcase the skills and talent of the gurus listed on the site would be to have a project car that under goes a full restoration and the build is documented on the web site. Over the years I have had plenty of cars and a lot of them, had I kept them, would be classics today. This leads to the question, what sort of project car should I choose? Classic Car Gurus is an Australian website and I have no interest in doing anything with it in New Zealand or any other countries so perhaps an Australian car should be featured. I've had some nice European cars in the past, the Japanese cars that appeal are reliable and relatively easy to source parts for and of course there is a multitude of choice if you think American. Rather than charge the hill and make an executive decision I felt I should canvass other people’s opinions to see what they feel should be the chosen marque. Everyone I approached had a different perspective which ultimately helped me decide what to do. All of the suggestions were good ones. Interestingly, most lent towards an Australian candidate for all the obvious reasons with badges and names like Bolwell, Monaro, XY, Charger and the like. Few suggested European with the exception of MG, E-Type and Austin Healey featuring as potential candidates. The American suggestions centred on Mustang, Camaro and a few other pony cars. The Datsun 240Z was the common pick amongst the Japanese prospects. With so many cars to choose from ultimately it came down to a number of questions – what do you want to use it for, how much do want to spend, concourse restoration or resto-mod, how involved do you want it to be, what condition does the donor car need to be in? And the list went on. And on. With so many opinions it didn’t take me long to realise that the one opinion that counted was mine, with buy in from the wife. 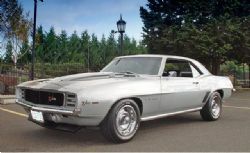 Having explained the vision for the project car the wife saw the big picture, gave me the go ahead and said you choose. There is a god after all. Due diligence was in order. At this point I had a leaning to Australian or American and had pretty much qualified out the rest. The great thing about the web is you can do lots of research without leaving home. I checked out a lot of cars on eBay, CarPoint, Carsales, Trading Post online and Drive to get a feel for prices, what you got for your money and availability. Now we all know that how something may be represented online can be very different when you inspect it. 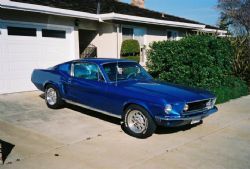 I learnt this first hand when I was living in the US and bought a “restored” 67 Mustang Fastback from Oregon. The sellers definition of restored was very different to mine but because I never had it checked out I only had myself to blame. The overall condition was not going to matter too much this time. By now I had made a few decisions. The car was going to be “no matching numbers”, in other words non original. The intention would be to keep the classic lines but modernise the entire drive train so that it performed, handled and stopped way better than it did when it first left the factory. I wasn’t looking for a total basket case, but I wasn’t prepared to pay a premium for lots of stuff that would get jettisoned in the build. Ultimately, a useable body with minimal rust and most of the trim parts on the car would work for what I had in mind. Restoring a car is a little like building a house – the first dollar figure you come up with normally translates as you pick up the keys into double that figure plus twenty percent. How far do you go, where do you set your limits, how long is a piece of string...... I am not going to put a budget to the project until I have a car and understand what I am up for. This normally occurs once the paint is blasted off and you get a real sense for the amount of work involved. All the cars that would be appealing or were recommended would cost big bucks up front. Old Monaro’s, even total basket cases were outrageous money. Valiant Chargers weren’t as bad but there were not many around. Any true Aussie muscle car worth restoring is in the stratosphere and I am probably about five years too late. I remember a HK Bathurst Monaro requiring a full restoration sold at auction in the last two years for $55K and everyone thought that was outrageous. Looks like an absolute bargain now. Fords, especially GT or HO optioned cars from the late sixties and early seventies cost more than an average family dwelling and a basket case is in the range of two years salary for most people. I enquired about a number of cars. A Bolwell in Western Australia caught my attention, I always loved these cars as a kid and you rarely see them today. It was a basket case, no drive train and missing a lot of parts but it could be the one. After lots of questions, numerous phone calls and emails I was told it had previously been registered in Victoria yet it had no VIN or chassis number attached. Potential nightmare – qualify out. A good looking, solid six cylinder HG Monaro came up on eBay with faded paint and 35+ years of wear which was a potential candidate. As the price rose with each bid, its suitability slipped further. I didn’t even see its final price but I realised at this point I need to reassess what I am doing. Women see things differently to blokes. I don’t question it or give it much thought but I knew if I had another chat with the misses she would give me a different perspective. Her advice is normally good, and this time was no different. She said to get something I was passionate about, something I really wanted, something that would be practical as a marketing exercise for the business and something that I ultimately wanted to drive. I couldn’t argue with that. A lot of the suggestions were for sports cars and given that I already have a two seater I felt it needed to be able to seat at least four adults in comfort. I love V8’s, there is something about them that gets me hot and bothered and whatever the project car was to be it had to handle interstate trips with lots of luggage, golf clubs and other stuff. This list just became a lot shorter. I thought back to all the car shows I had been to, what had I seen driving around on the streets or in magazines that caught my eye and what could I get passionate about for this project. One stood out in my mind. 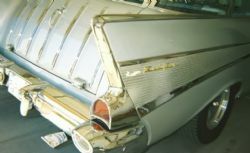 A number of years ago at a car show in San Jose I laid eyes on a finned creation resplendent with chrome and mouldings that made me look twice. It was aqua blue and I had to check it out. As is the case with most owners at car shows he was only too happy to talk about his classic and gave me the entire story of his car. It was a 1957 Chevy Nomad two door station wagon. Being a Corvette fan I had read about the origins of the Nomad which first broke cover at the General Motors Motorama in New York City in 1954. It was a concept car based on a 1953 Corvette but featured a station wagon body style. It created a huge stir, so much so that Harley Earl asked the team building full size Chevrolets to take the name and looks and build a Nomad wagon which first appeared as a production model in 1955. 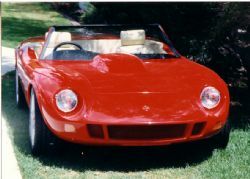 The two door variant, based on the original concept car spanned three years, 1955 to 1957. The purists feel the 1957 model was the best, incorporating fins, lots of chrome and the classic styling of 57 Chevrolets.